Written By: Lauren Brande, M.A. Drugs have always been a topic of rumors and urban legends. But sometimes facts get lost in the sensationalism, so having accurate information about drugs is a vital part of understanding abuse and addiction. Relying on rumor is not a good way to get information about such powerful substances, so we’re here to bust some popular drug myths. The key word is develop: Addiction isn’t something that happens after a single use. It’s an entire set of behaviors that surround drug use, including a sense of compulsion to use despite negative consequences. 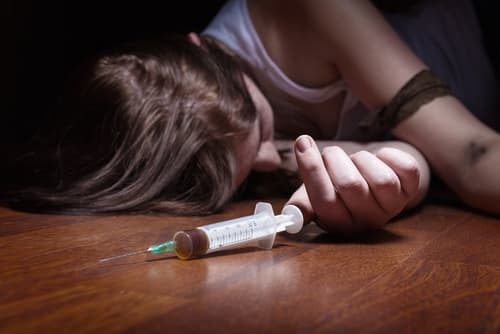 Addiction also develops at different paces for different people, and some users may be more protected from heroin addiction by environmental factors such as temperament, community pride, and having positive, drug-free relationships.3 The bottom line is that it’s hard to predict whether a person will get addicted to heroin or not. 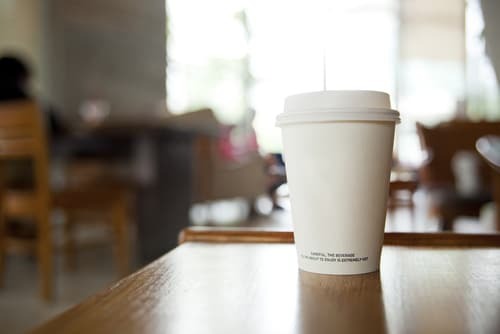 To imply that you will almost certainly become addicted after just a single use may be a well-intended message meant to dissuade those curious about the drug, but it is an oversimplification of the processes involved. Holding such a belief could even be counterproductive, inadvertently promoting dangerous recreational use in those who don’t find themselves instantly transformed into addicts after their first time using the drug. Cancer (mouth, throat, esophagus, liver, and breast). Alcohol doesn’t just affect physical health, though. It is involved in almost half of sexual assaults, and it contributes to more frequent and more dangerous acts of domestic violence.12-16 Because it lowers inhibitions, a person who is already experiencing thoughts or fantasies about harming someone may be more likely to act upon these feelings when drinking. Recovery from substance abuse involves hard work and dedication. Seeking treatment is merely the first step in the process. Treatment programs provide a stable routine to begin recovery. They help people learn about their substance use habits and practice resisting temptations to use so that after they complete a program, they are better equipped to cope with life outside the sober haven of rehab. This myth arose from the experience of acid flashbacks following long-term LSD use. A small percentage of users do experience slight visual hallucinations, such as after-images or movement in their peripheral vision, when they are not using LSD after a long period of frequent dosing.20,21 However, it is certainly not the norm and has nothing to do with LSD remaining in the body. Some people believe that these (admittedly small) potential after-effects mean that a person is “legally insane” after they take LSD a certain number of times, but this is also a misconception. In a strictly legal sense, the concept of insanity may be introduced as part of a courtroom defense strategy, and in that context, is used to indicate that a person is not mentally present enough to be found guilty of a crime committed.24 It has nothing to do with how many times a person has ingested LSD. Many prescription drugs have inherent health risks and dangers despite being legally prescribed for acceptable medical uses. Even if the Drug Enforcement Administration (DEA) doesn’t classify prescription drugs as hazardous, many medications contain strongly addictive substances. Opioids: used to alleviate moderate to severe pain; mechanism of actions similar to heroin. Central nervous system (CNS) depressants: prescribed to reduce anxiety and help with insomnia; many exert their sedative effects similarly to alcohol through their interaction with the GABA receptor. Stimulants: frequently used to lessen symptoms of attention-deficit hyperactivity disorder (ADHD); mechanisms of action are similar to those of cocaine and methamphetamine. Use of these potent medications can have long-lasting consequences for the user, regardless of if you take them with a prescription. 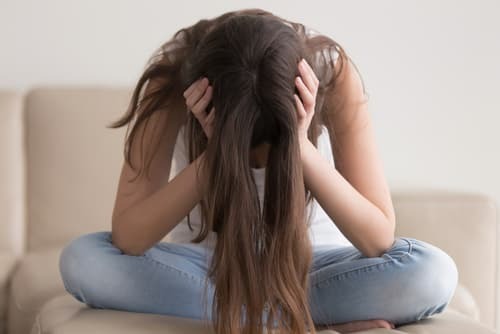 However, unlike opioids, the biggest risks surrounding the abuse of depressants are not related to overdose, but instead concern the potential to elicit a severe withdrawal syndrome and the dangers of mixing these drugs with other drugs and alcohol. Many people suffer severe health consequences when they use a CNS depressant with alcohol (another depressant) or when they try to quit after extended use. 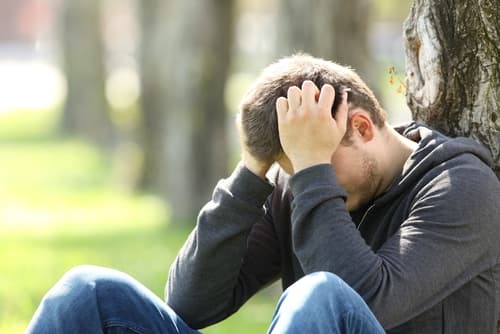 When a person develops sedative dependence, their brain gets used to a lower level of stimulation because depressants inhibit certain types of brain activity. Once they stop using—especially if it is cold turkey—withdrawal can bring about deadly seizures due to neurological overstimulation. CNS depressants have a high addiction potential, so anyone who abuses them runs a high risk of experiencing life-threatening withdrawal symptoms. Prescription stimulant medications are commonly abused on college campuses as study aids, but people also use them for weight loss and late-night partying. 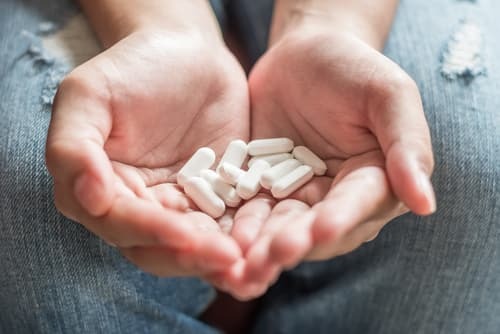 Escalating doses may even lead to addiction, which further complicates the risks and consequences of prescription stimulant abuse. Remember, just because certain drugs are available by physician prescription does not mean that they are safe to use without a legitimate reason or in amounts that exceed therapeutic doses. Abusing these medications can be just as risky and life-threatening as abusing illicit substances. When people hear the term drug addict, they often think of a person who lives on the streets, perhaps is hungry, strung out, and desperate for their next fix. While there are certain risk factors that contribute to a person developing an addiction, it is not a simple matter of classifying people with one broad stroke. A substance use disorder can—and does—affect any person from any background. Clearly, the typecast of an addicted person as a street-dwelling lowlife is simply not accurate. Higher SES individuals have the same if not higher risk of engaging in substance abuse and developing a problem with addiction. Most people with addictions also have very similar brain structure and chemistry—substance use disorders don’t care whether you grew up wealthy or not. The rumor that Ecstasy (MDMA) causes physically extensive brain damage is simply unfounded. It originated in one study that examined PET brain scans of former Ecstasy users and non-users; it found a toxic, damaging effect as a result of using the drug.37 Then, media outlets took up the study and began dramatizing and spreading this misinformation. However, the study had seriously flawed methods that rendered its results inconclusive.38 Not only were many subjects in the study multi-drug users (meaning the results couldn’t be attributed to Ecstasy alone), but the “damaged brain” PET scan image doesn’t even show the brain’s actual structure. PET scans can show differential communication and function within a brain, but they can’t display finely detailed brain structure or faithfully approximate a representation of fine anatomic defects, such as the rumored holes. Only a CT or MRI scan or, perhaps, close brain tissue examination performed during autopsy could reveal such details. But before you run out and decide to give Ecstasy a try, consider the fact that most pills contain a mix of MDMA and other drugs such as ketamine, amphetamine, methamphetamine, and ephedrine.42 These additional mystery substances may create additional negative effects on the user. Extremely high body temperature (hyperthermia). Ecstasy might not cause holes in your brain, but that doesn’t make it safe, especially if there are other substances mixed in. The only true way to sober up is to lower blood alcohol concentration (BAC); the liver handles this duty for us. On top of all this, a person who combines alcohol and coffee may be more likely to believe they are capable of driving, putting themselves and many others at risk. Any potential drug user should learn the facts about any substance they are going to ingest. Many substances come with a set of risks that make trying them simply not worth it. Instead of relying on hearsay for drug information, take some time to read about the effects of the drugs from reputable sources. Ongoing research is exposing more and more about substances of abuse, debunking many drugs myths one study at a time. National Institute on Drug Abuse. (2014). DrugFacts: Heroin. Laulin, J.P., Larcher, A., Ce ́le`rier, E., Le Moal, M., & Simonnet, G. (1998). Acute tolerance associated with a single opiate administration: involvement of N-methyl-D-aspartate- dependent pain facilitatory systems. Neuroscience, 84(2), 583–589. Centers for Disease Control and Prevention. (2014). Excessive drinking costs U.S. $223.5 billion. Lachenmeier, D.K. & Rehm, J. (2015). Comparative risk assessment of alcohol, tobacco, cannabis and other illicit drugs using the margin of exposure approach. Scientific Reports, 5, 1–7. Center for Behavioral Health Statistics and Quality. (2015). Behavioral health trends in the United States: Results from the 2014 National Survey on Drug Use and Health. HHS Publication No. SMA 15-4927, NSDUH Series H-50. World Health Organization. (2007). Alcohol and injury in emergency departments. World Health Organization. (2014). Global status report on alcohol and health 2014. National Institute on Alcohol Abuse and Alcoholism. (n.d.). Drinking levels defined. Robin, R.W., Long, J.C., Rasmussen, J.K., Albaugh, B., & Goldman, D. (1998). 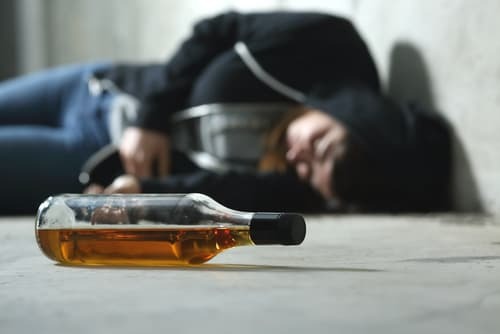 Relationship of binge drinking to alcohol dependence, other psychiatric disorders, and behavioral problems in and American Indian tribe. Alcoholism: Clinical and Experimental Research, 22(2), 518–523. Abbey, A., Zawacki, T., Buck, P.O., Clinton, A.M., & McAuslan, P. (2004). Sexual assault and alcohol consumption: What do we know about their relationship and what types of research are still needed? Aggression and Violent Behavior, 9, 271–303. Seto, M. C. & Barbaree, H.E. (1995). The role of alcohol in sexual aggression. Clinical Psychology Review, 15, 545–566. Testa, M. (2002). The impact of men’s alcohol consumption on perpetration of sexual aggression. Clinical Psychology Review, 22, 1239–1263. Foran, H.M. & O’Leary, K.D. (2008). Alcohol and intimate partner violence: A meta-analytic review. Clinical Psychology Review, 28, 1222–1234. Graham, K., Bernards, S., Wilsnack, S.C., & Gmel, G. (2011). Alcohol may not cause partner violence but it seems to make it worse: A cross national comparison of the relationship between alcohol and severity of partner violence. Journal of Interpersonal Violence, 26(8), 1503–1523. U.S. Department of Transportation, National Highway Traffic Safety Administration (NHTSA). (2014). Traffic Safety Facts 2013 Data: Alcohol-Impaired Driving. Washington (DC): NHTSA. National Institute on Drug Abuse. (2014). Drugs, Brains, and Behavior: The Science of Addiction: Treatment and Recovery. Kissin, W., McLeod, C., & McKay, J. (2003). The longitudinal relationship between self-help group attendance and course of recovery. Evaluation and Program Planning, 26, 311–323. Halpern, J.H. & Pope, H.G. (2003). Hallucinogen persisting perception disorder: what do we know after 50 years? Drug and Alcohol Dependence, 69(2), 109–119. Hermle, L., Simon, M., Ruchsow, M., & Geppert, M. (2012). Hallucinogen-persisting perception disorder. Therapeutic Advances in Psychopharmacology, 2(5), 199–205. Abraham, H.D. & Duffy, F.H. (1996). Stable quantitative EEG difference in post-LSD visual disorder by split-half analysis: evidence for disinhibition. Psychiatry Research: Neuroimaging Section, 67, 173–187. Dolder, P.C., Schmid, Y., Haschke, M., Rentsch, K.M., & Liechti, M.E. (2016). Pharmacokinetics and Concentration-Effect Relationship of Oral LSD in Humans. International Journal of Neuropyschopharmacology, 19(1), pyv072. Cornell University Law School, Legal Information Institute. (2016). Insanity Defense. Carhart-Harris, R.L., Kaelen, M., Bolstridge, M., Williams, L.T., Underwood, R., Feilding, A., & Nutt, D. J. (2016). The paradoxical psychological effects of lysergic acid diethylamide (LSD). Psychological Medicine, 46, 1379–1390. Ungerleider, J.T., Fisher, D.D., Fuller, M., & Caldwell, A. (1968). The “bad trip” – the etiology of the adverse LSD reaction. The American Journal of Psychiatry, 124(11), 1483–1490. Gonzalez-Maeso, J. & Sealfon, S.C. (2009). Psychedelics and schizophrenia. Trends in Neurosciences, 32(4), 225–232. Abraham, H.D. & Aldridge, A.M. (1993). Adverse consequences of lysergic acid diethylamide. Addiction, 88(10), 1327–1334. National Institute on Drug Abuse. (2014). What are some of the most commonly abused prescription drugs? Centers for Disease Control and Prevention. (2012). CDC grand rounds: prescription drug overdoses – a U.S. epidemic. MMWR Morbidity and Mortality Weekly Report, 61(1), 10–13. Lakhan, S E. & Kirchgessner, A. (2012). Prescription stimulants in individuals with and without attention deficit hyperactivity disorder: misuse, cognitive impact, and adverse effects. Brain and Behavior, 2(5), 661–677. Sinha, R. (2008). Chronic stress, drug use, and vulnerability to addiction. Annals of the New York Academy of Science, 1141, 105–130. Diala, C.C., Muntaner, C., & Walrath, C. (2004). Gender, occupational, and socioeconomic correlates of alcohol and drug abuse among U.S. rural, metropolitan, and urban residents. The American Journal of Drug and Alcohol Abuse: Encompassing All Addictive Disorders, 30(2). Patrick, M.E., Wightman, P., Schoeni, R.F., & Schulenberg, J.E. (2012). Socioeconomic status and substance use among young adults: a comparison across constructs and drugs. Journal on the Study of Alcohol and Drugs, 73(5), 772–782. McCann, U.D., Szabo, Z., Scheffel, U., Dannals, R.F., & Ricaurte, G.A. (1998). Positron emission tomographic evidence of toxic effect of MDMA (“Ecstasy”) on brain serotonin neurons in human beings. Lancet, 352(9138), 1433–1437. Kish, S.J. (2002). How strong is the evidence that brain serotonin neurons are damaged in human users of ecstasy? Pharmacology, Biochemistry, and Behavior, 71(4), 845–855. Roberts, C.A., Jones, A., & Montgomery, C. (2016). Meta-analysis of executive functioning in ecstasy/polydrug users. Psychological Medicine, 46(8), 1581–1596. Roberts, C.A., Jones, A., & Montgomery, C. (2016). Meta-analysis of molecular imaging of serotonin transporters in ecstasy/polydrug users. Neuroscience and Biobehavioral Reviews, 63, 158–167. Halpern, J.H., Sherwood, A.R., Hudson, J.I., Gruber, S., Kozin, D., & Pope Jr., H.G. (2011). Residual neurocognitive features of long-term ecstasy users with minimal exposure to other drugs. Addiction, 106(4), 777–786. Tanner-Smith, E.E. (2006). Pharmacological content of tablets sold as “ecstasy”: results from an online testing service. Drug and Alcohol Dependence, 83(3), 247–254. Hall A.P. & Henry, J.A. (2006). Acute toxic effects of ‘Ecstasy’ (MDMA) and related compounds: Overview of pathophysiology and clinical management. British Journal of Anaesthesia, 96(6), 678–685. Barrett, P.J. & Taylor, G.T. (1993). ‘Ecstasy’ ingestion: a case report of severe complications. Journal of the Royal Society of Medicine, 86(4), 233–234. Ferreira, S.E., de Mello, M.T., Pompeia, S., & de Souza-Formigoni, M.L. (2006). Effects of energy drink ingestion on alcohol intoxication. Alcoholism: Clinical and Experimental Research, 30(4), 598–605. Ferre, S. & O’Brien, M.C. (2011). Alcohol and caffeine: the perfect storm. Journal of Caffeine Research, 1(3), 153–162. Fritz, B.M., Companion, M., & Boehm II, S.L. (2014). ‘Wired’, yet intoxicated: modeling binge caffeine and alcohol co-consumption in the mouse. Alcoholism: Clinical and Experimental Research, 38(8), 2269–2278. National Institute on Alcohol Abuse and Alcoholism. (n.d.). What is a standard drink? Attwood, A.S. (2012). Caffeinated alcohol beverages: a public health concern. Alcohol and Alcoholism, 47(4), 370–371. Reissig, C.J., Strain, E.C., & Griffiths, R.R. (2009). Caffeinated energy drinks—a growing problem. 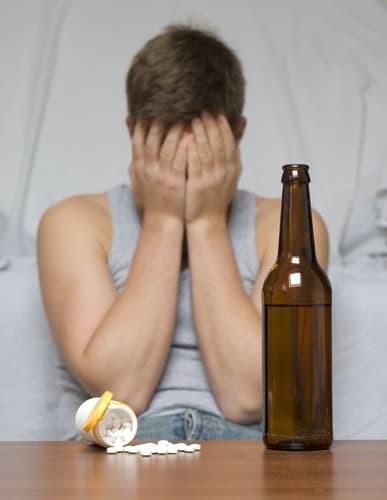 Drug and Alcohol Dependence, 99(1-3), 1–10.